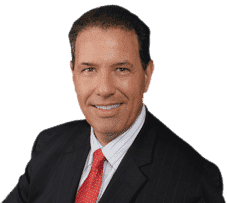 Hire a hard working Pompano Beach Injury Attorney like Robert E. Gluck, to represent you during traumatizing accidents that often result in catastrophic injuries. If you were at your home, at work, in a car, or on a bus, and were badly injured, contact Robert E. Gluck immediately for an appointment. He is dedicated to personal injury law, and has handled a multitude of cases like yours. Robert E. Gluck has impressive credentials and qualifications that help to win a case. Don't wait to call him, do so as soon as possible. Hiring the right Pompano Beach Injury Attorney can either make or break your case. Robert E. Gluck, as your injury attorney, must prove negligence was present when your accident occurred. If he can prove the opposite party was negligent, that person will be held responsible for all of your medical bills. Do not wait to hire an attorney, it can hurt your case, and your legal rights will not be protected. Hire Robert E. Gluck to increase your chance of receiving a higher compensation for your injuries. Research shows when an injured person is legally represented by an Attorney, there is an increased chance of better compensation. Pompano Beach Injury Attorney, Robert E. Gluck will use his knowledge and resources to investigate your case. He is excellent on providing each client with the personal attention and compassion they require. He will launch a complete investigation of all of the facts. Robert E. Gluck will find witnesses, search the accident scene for property damage, and try to find video footage. He will take pictures of the accident scene and look for any other information that would help to support your case. Do not try to handle your case on your own. If you want to win the case, you have a better chance of doing so by hiring your Pompano Beach Injury Attorney, Robert E. Gluck. He has an incredible amount of experience, and will start a full investigation on your behalf. He will keep the adjusters working with insurance companies from harassing you, and make certain you get paid an amount that your claim is truly worth. Robert E. Gluck will work in your interest, and serve as a powerful voice for you. He will fight hard to protect your legal rights and make sure you are treated fairly. Hire Robert E. Gluck to serve as a powerful voice in your case.